Considering getting engaged this Valentine's Day? Sorry to say a custom made ring most likely is not an option at this point. That being said, you don't have to put off asking for another year. Estate pieces are a wonderful ready-to-go option. estate rings come in such a variety. You can choose a ring that truly has the antique look. 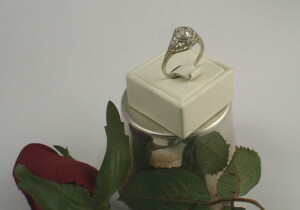 14kw old European cut round diamond set in a vintage filigree ring. Another option might be a yellow gold band with a Flanders Cut diamond set by itself to show the true beauty of the diamond. 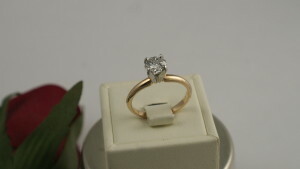 Oval diamonds are still another option to the traditional round diamond. 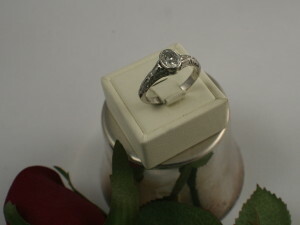 In the case of the one pictured below, it is bezel set in a platinum ring with engraving along the sides. Don't forget, even if there is not time to custom make the engagement ring you can still have the wedding band made later. The overall look you are trying to achieve can still be accomplished so don't panic!